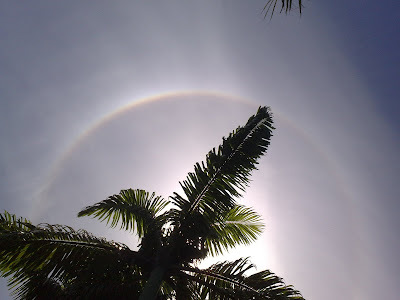 Last year I saw a Twin Rainbow, and last month I saw it once again, however, I failed to get a picture of it. 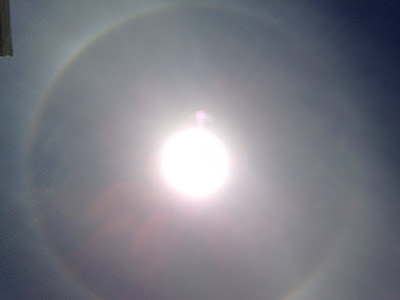 Today, what I saw was beyond my imagination! 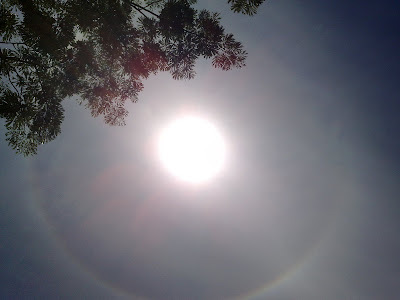 Guess what, I saw the sun was surrounded by a ring of rainbow!!! How does it looks like? Just simply scroll down and have a look, click on the image to have a larger view and save a copy if you want to. I've tried my best to get the best shoot and I'm sacrificing my mobile phone because the ray from the sun was strong enough to damage my mobile phone's camera lens!